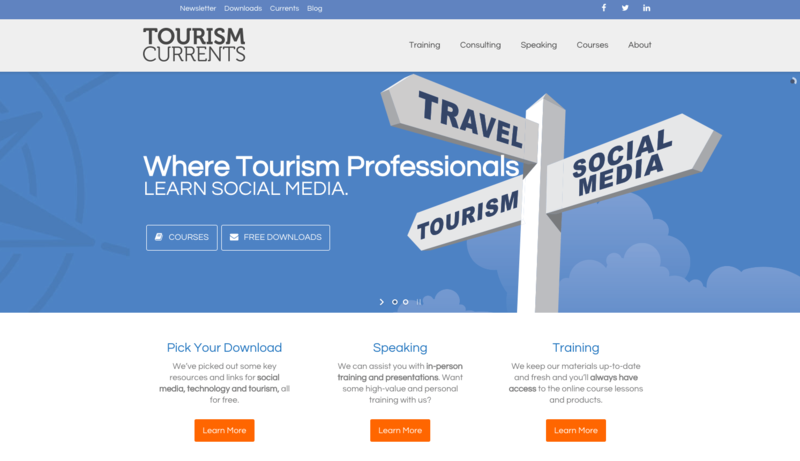 Tourism Currents offers social media training for destination and tourism marketers. I met a couple of the principals over Twitter years ago, and we finally did meet in person at the Blogworld conference in Las Vegas in 2012. The website sells exclusive access to online lessons so there was a challenge in keeping the paywall functionality while sprucing up the user experience on the front end. This redesigned website is now responsive for all devices, more organized in the navigation menu, and serves up attractive imagery and call-to-action links.